• Business Affordable Lawn & Landscapeing - We are Affordable Lawn & Landscaping a full service company long established in the Palm Coast, Flagler County area of Florida providing professional landscape design and maintenance services. • Computers JFL Internet Services, LLC - Web site development and monthly support. • Internet JFL Internet Services, LLC- Web site development and monthly support. • Other Tidelands Estates - Tidelands Estates a dba for The Village at Palm Coast - HOA is a phase one project of single family homes located within the Tidelands on the Intracoastal, a Centex Destination Property, under development, in Palm Coast, Florida.  • Recreation • Boating Flagler Beach Yacht Club - Welcome to the Flagler Beach Yacht Club. We are a social club of boating enthusiasts whose motto says it all... Fun, Friendship and Boating. • Autos Flagler County Corvette Club - Flagler County Corvette Club (FCCC) - We are a social club of Corvette owners together for the purpose of enjoying and sharing of the Corvette lifestyle. • Shopping Exotic Western - Finest Hand Made Quality Exotic Western Boots in the Country. All of our Exotic Skin Boots are made from the finest quality leather available. Featuring Alligator, Crocodile, Lizard, Snake, and Real Leather Western Purses from some of the finest leather makers in the world. Exotic Boot Jewelry - Exotic hand made one-of-a-kind gemstone boot jewelry. Each piece is made form beautiful gemstones using top of the line quality products. • Sports • Horse Racing Roger Stein Show - "The Roger Stein Show" your "Window to the Backstretch of Southern California Racing" every Saturday and Sunday morning. One full hour of action packed thoroughbred information, broadcast live from Southern California's leading tracks, with up to date information, and handicapping to help you solve the many equine puzzles of the day.